The water reuse scheme of Tarragona in the region of Catalonia (Spain), has been named Environmental Leader’s Project of the Year 2015. 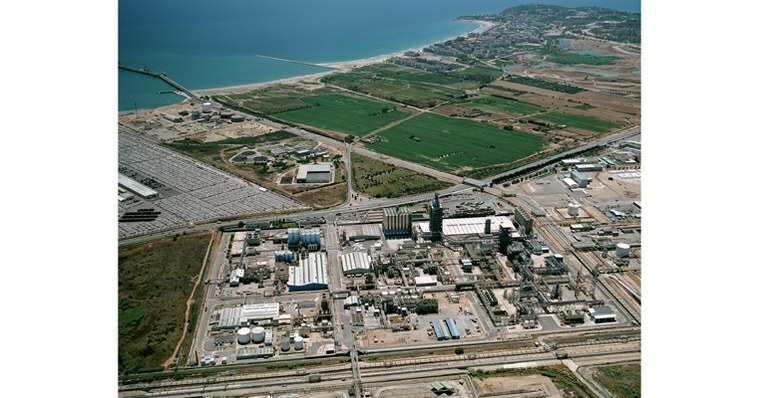 The Camp de Tarragona petrochemical complex and surrounding municipalities face competing water demands across the agricultural, industrial, and residential markets. The complex handles 19,000m3 of water per hour and previously used freshwater from the UNESCO-protected Ebro River Basin to power its industrial processes. With the help of Dow’s reverse osmosis water treatment solutions, the Camp de Tarragona Advanced Water Reclamation Plant, operated by Veolia and AITASA and the government-owned water supplier, ACA (Water Catalan Agency), treats wastewater from the Spanish cities of Salou, Tarragona, and Vilaseca for reuse in the complex’s industrial operations. This ultimately reduces strain on limited, local freshwater resources. After pre-treatment, wastewater first passes through DOW FILMTEC™ BW30XFR-400/34i extra fouling resistant membranes before going through DOW FILMTEC™LE-440i low-energy membranes in the second pass. The extra fouling resistance membranes increase equipment lifetime and reduce operational expenses. The low-energy membranes produce a high-quality final product water at 33% lower pressure, which reduces energy demand. Wastewater processed to the required quality are fed through a pipeline to various plants within the complex for alternative industrial use. This project is a milestone in the improvement of the water reuse in the European industrial sector efficiency and municipal processes. Out of about 30 projects funded by the European Union’s DEMOWARE initiative, a program to demonstrate innovations that help build a competitive and innovative European water reuse sector, this is the only project related to industrial water reuse. Dow is also a user of the treated wastewater for its cooling tower operations. The ethylene cracker cooling tower at Dow’s Tarragona site now uses up to 40% reclaimed water and has reduced its use of chemicals for water treatment by 23%. Depending on the season, this frees up more than 200m3 per hour of water rights for the municipality. In addition, thanks to the higher quality of the reused water, the wastewater generated by the cooling towers has been reduced by up to 49%. By reclaiming municipal wastewater for industrial purposes, the Camp de Tarragona petrochemical complex is able to minimize water stress and preserve freshwater to meet municipal, tourism, and agricultural demands. The final target is to serve 90% of the complex’s water demand with reclaimed water. Congratulations to the whole team in the Tarragona site! The DOW FILMTEC™ LE-440i Element has since been discontinued. Speak to Dow about other DOW FILMTEC™ low energy elements: www.dowwaterandprocess.com/contactus.